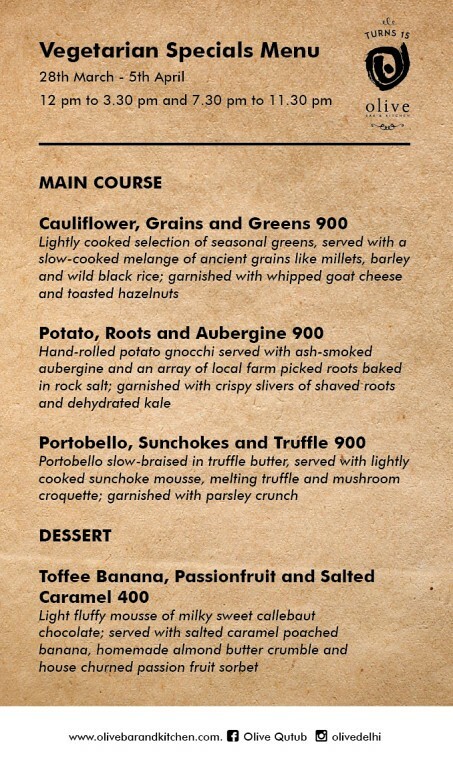 Olive Qutub marks the occasion with an all vegetarian Navratra Special Menu – peruvian ground cherry, fresh figs & burrata; portbello, sunchokes & truffle; toffee banana, passionfruit and salted caramel and the likes are on the menu. Ditch the usual and feel the magic of Chef Sujan Sarkar this time. 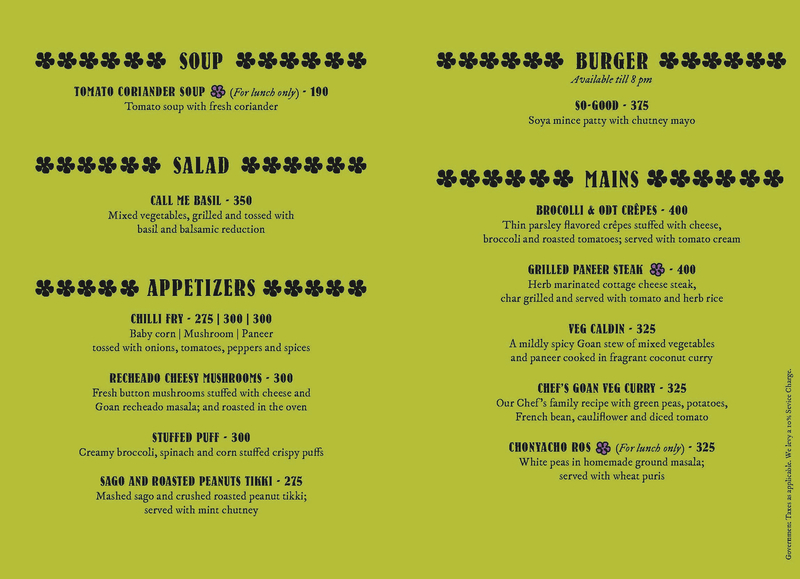 Check out the menu here & here. The lady from Goa goes veg. 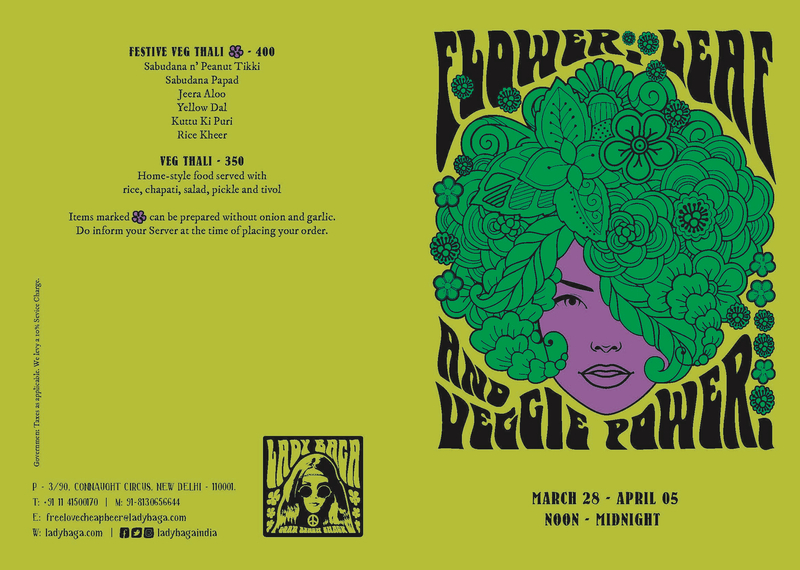 It’s all about veggie power for the 9 days. 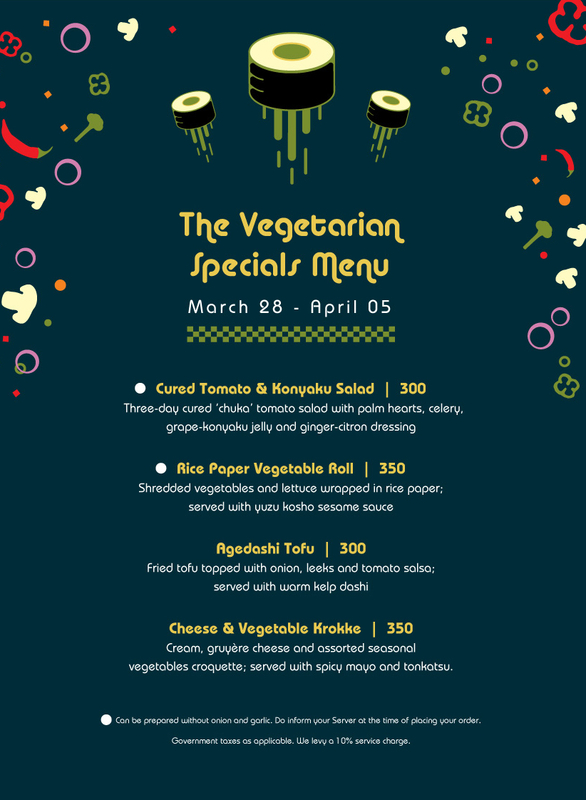 A vegetarian Navratra Special Menu is on the cards – the ambiance remains the same! Choose the Thalis (w/o onion, garlic also available) or go a-la-carte – Veg. Caldin, Brocolli & ODT Crepes and Chonyacho Ros sound so appealing already. 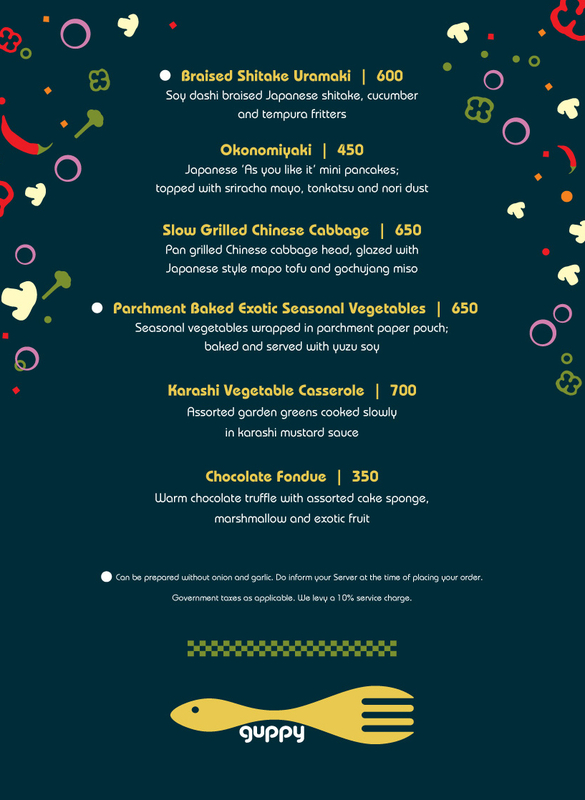 The Navratra Special Menu at Guppy for the 9 days features dishes like Cured Tomato & Konyaku Salad, Rice Paper Vegetable Rolls, Braised Shitaki Uramaki, Okonomiyaki and the likes of it. Who said fasting and feasting couldn’t co-exist? Balance your fasting & feasting with The Navratra Thali (icon-rupee850++) at Chor Bizarre, Bikaner House. Ingredients such as sweet potato, sago, buckwheat flour, paneer, arbi and fruits have been brought together to create mouth watering dishes including arbi ki galawat, chirongi ki dal and singhara ka paratha, accompanying the more traditional khatta meetha kaddu and aloo tamatar ki sabzi. 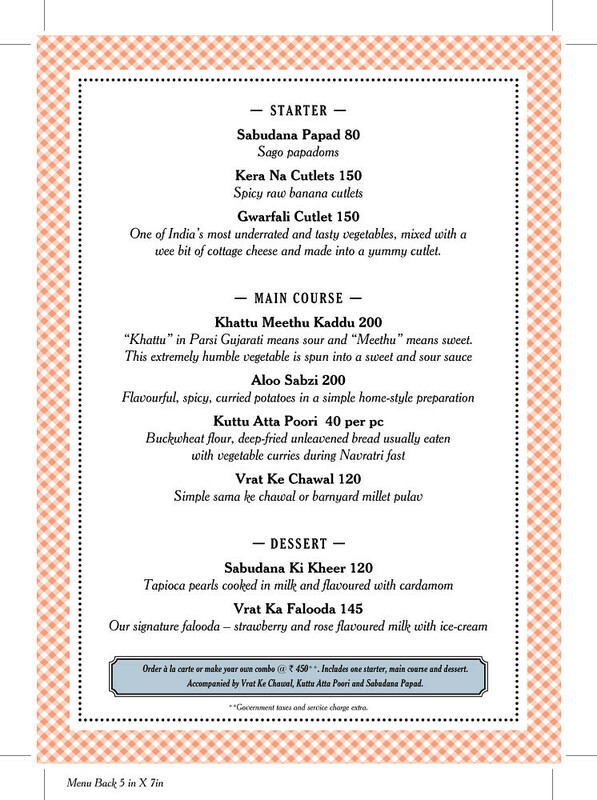 The Parsi, Irani cafe brings to you a special Navratra Special Menu. Choose from a 3 course vrat ka khana (icon-rupee450++) in a thali or go a-la-carte with options like Sabudana Papad, Kera na Cutlets, Gwarfali, Khattu Meethu Kaddu. A meal is never complete without the dessert – Sabudana Ki Kheer & Vrat Ka Falooda is on rolls as well. Enjoy your fast feast! The Navratra Special Menu is curated for the occasion and totally avoids onion, garlic, alcohol infusions and other ingredients not allowed during the fasting. 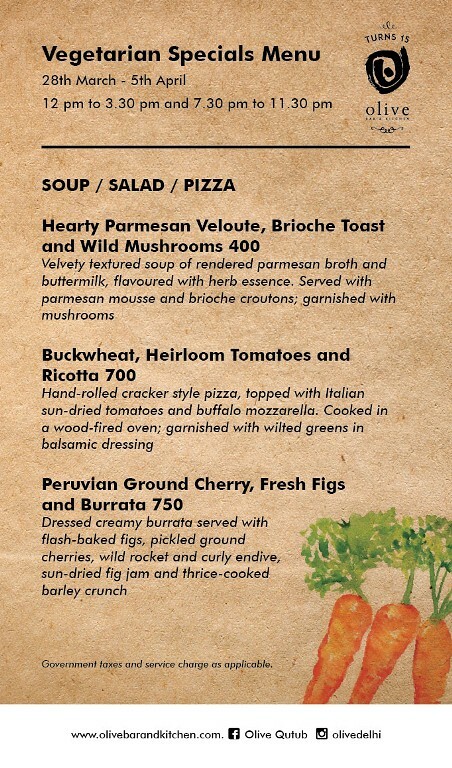 Available as a la carte or a 4 course Prix Fixe menu (icon-rupee1295++) , the dishes appeal a lot. Swang Rice Arancini Ball is a fabulous creation with brie cheese, thai sweet basil, millet and is served with basil-walnut pesto. Trio Beetroot & Mango looks like an amazing salad. Choose between Sago Mille Feuille, Ricotta and Pilati or Buckwheat Crepes from the mains and end your meal on a sweet note, choosing between Sweet Potato, Sago & Orange Brulee or Chocolate Bombe. Wow, what a menu!